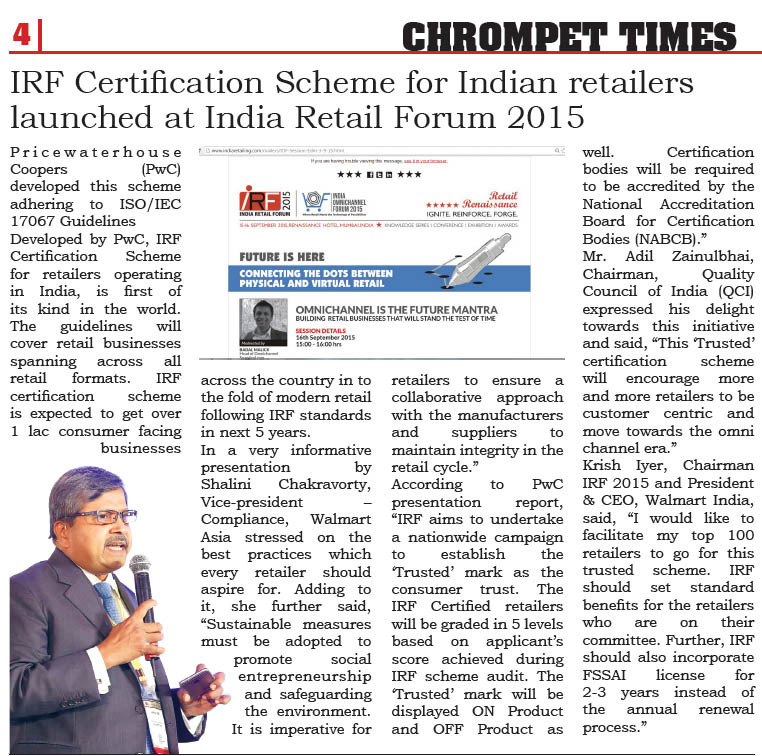 Developed by PwC, IRF Certification Scheme for retailers operating in India, is first of its kind in the world. The guidelines will cover retail businesses spanning across all retail formats. IRF certification scheme is expected to get over 1 lac consumer facing businesses across the country in to the fold of modern retail following IRF standards in next 5 years.